Test your nerve and stamina climbing St Mary’s steep winding stairs and then enjoy the rare opportunity of abseiling the 60 ft. back down to solid ground! 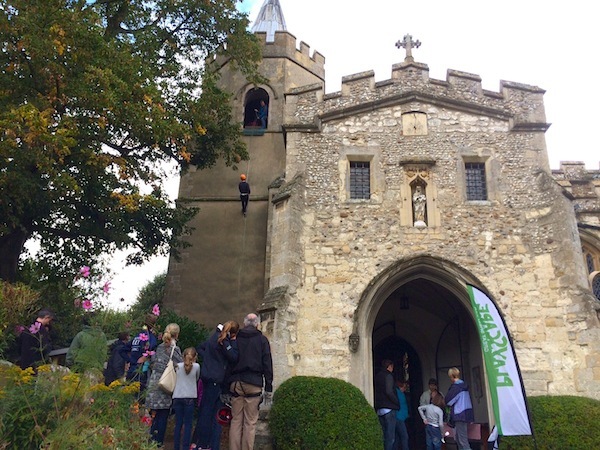 On October 1st, 40 intrepid abseilers took on St Mary’s Tower! 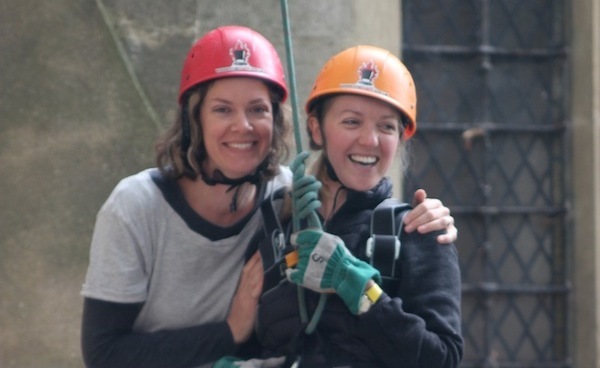 Before you could actually abseil your first challenge was to climb the steep winding steps, clamber over the enormous church bells and squeeze up another metal ladder. Fortunately you were greeted by the very cheery Hatt Events lot who had you roped up and out over the edge before you could say “!?!”. With a steady stream of spectators the café and side stalls were kept busy and the teddy drop was huge fun! Melly, year-two’s school bear, had a rather adventurous exeat weekend being joint winner with 3-year-old Lily’s Angelina Ballerina. 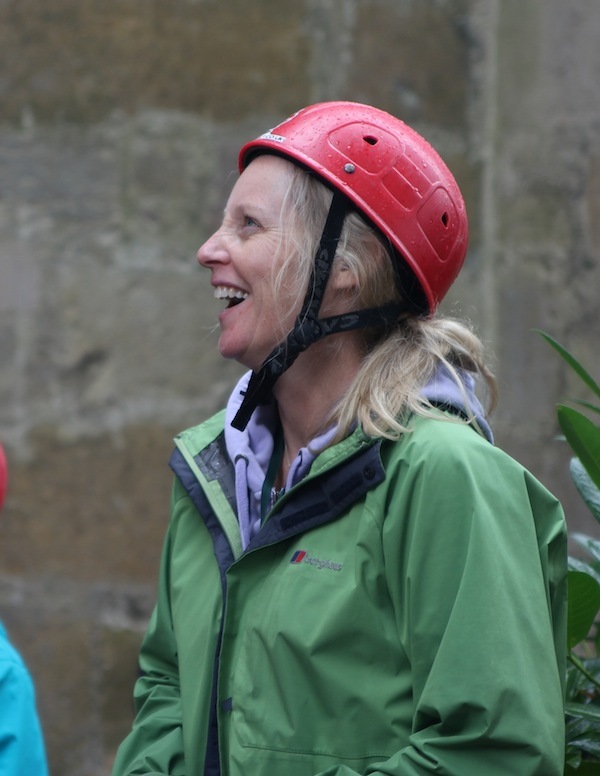 And those abseiling in the middle of the day had an extra challenge: Turns out, when it rains and you’re stuck to the side of the tower, the gargoyle above you pours water straight into your face! So a huge thank you to all those who took on the challenge and raised much needed funds for the Playscape scheme, to the willing volunteers who helped us run the entertainments, to Rev Simon Talbott and the church for allowing us to hold the event, to Gatward builders who came to our rescue at the eleventh hour, Bob Townsend for preparing the tower (and perhaps more importantly resetting things so the bells could ring out again on the Sunday!) and finally to our one and only Jenny David who organised it so magnificently. We have made a fantastic £6000, which is a super effort. Ian Tomlinson, local father of four, raised a fantastic £1,170 before gift aid – a voucher for two at the Square and Compasses’ steak night is winging its way to him. Hatt Adventures ran the abseil for Great Shelford Playscape.